Sheffield is located in South Yorkshire. The city is one of the biggest in the United Kingdom, comparable in its size to Manchester, York and Leeds. 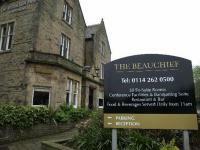 A selection of hotels or bed & breakfasts in or near Sheffield are listed below. 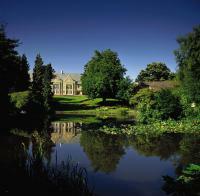 Our hotel offers page will show you the latest special offers for a range of hotels in Sheffield. The Millennium Galleries, Peace Gardens, Tudor Square, the Kelham Island Museum and the Weston Park Museum are worth visiting when staying in or near Sheffield. Robin Hood Doncaster Sheffield is not far away from Sheffield. It also has two stations - Sheffield Station and Meadowhall Station. The Park Inn Sheffield is located in Sheffield, England, 800 metres from the Winter Gardens and Millennium Art Galleries. Sheffield train station is 500 metres from the hotel. Hotel Features. This city hotel has a contemporary lobby offering complimentary daily newspapers. Wireless Internet access is available throughout the hotel, and the 24 hour front desk has a safe deposit box for securing valuables. Hotelyear built 2005additional property description this luxury 4 star hotel offers 161 en suite rooms in the heart of sheffield. just minutes from the railway station, crucible and lyceum theatres and hallam university. don valley stadium, sheffield arena, meadowhall shopping centre, chatsworth house and peak district are all a short drive away. The Kenwood Hall is a 19th century manor house hotel which overlooks its own lake and is set in 12 acres of landscaped gardens. It is one mile from Sheffield city centre and 10 miles from the Peak District National Park. Manchester International Airport (MAN) is 45 miles away, with an approximate driving time of 50 minutes. Hotel Features. Days Inn Sheffield is located in Woodall, England. Off the M1 motorway at Junction 30 31 Eight miles from Sherwood Forest 10 miles from Sheffield City Centre Hotel Features. Complimentary onsite parking Complimentary newspapers Tea/coffee machine and snack fridge in reception (surcharge) Breakfast available (surcharge) Guestrooms. The Leopold Hotel is located in Sheffield, England, on the newly designed Leopold Square in the centre of the city centre's new retail district. It is within one mile of the city's theatres, galleries and gardens. There is also a supertram stop outside the hotel, and the station is one mile away. Hotel Features. Best Western Mosborough is located in Sheffield, Great Britain, eight miles from the city centre and 15 miles from the Peak District National Park. Sherwood Forest is 17 miles away. Hotel Features. This 12th century manor house is set in a quiet Sheffield village. Wedding services include banquet facilities and event catering. There is a 24 hour front desk, and free parking is provided on site. The Norfolk Arms Hotel is located in the Yorkshire village of Ringinglow, on the edge of the Peak District National Park. It lies six miles from the centre of the city of Sheffield, England. Hotel Features. This two storey hotel is housed in a listed building, a coaching inn from around 1805, built in local stone with unusual castellated detailing. Complimentary newspapers are on offer in the lobby. The Hilton Sheffield is a modern red brick hotel located on Sheffield's historic Victoria Quays, half a mile from the city centre's shops and attractions. This property features 128 light, modern guestrooms decorated in neutral tones of cream, white and brown. In room amenities include radios, tea and coffee making facilities, televisions, Internet connections and trouser presses. Grosvenor House Hotel in Sheffield is conveniently situated in the vibrant centre of Sheffield, an ideal base for a business or leisure visit. Grosvenor House Hotel is ideally located for the many shops that Sheffield city centre has to offer and near-by attractions such as golf courses, Chatsworth House, Hardwick Hall, Peak District and the Derbyshire Dales.